Ask doctors and they’ll tell you: In children, there’s chronological age and there’s bone age. When the two don’t match, there’s a problem. Bones that mature too quickly or too slowly may impair a child’s growth. Radiologists measure bone age, or skeletal maturity, by comparing x-rays of children’s hands to the standard for their age. Aspects of this technique haven’t changed in more than 75 years. 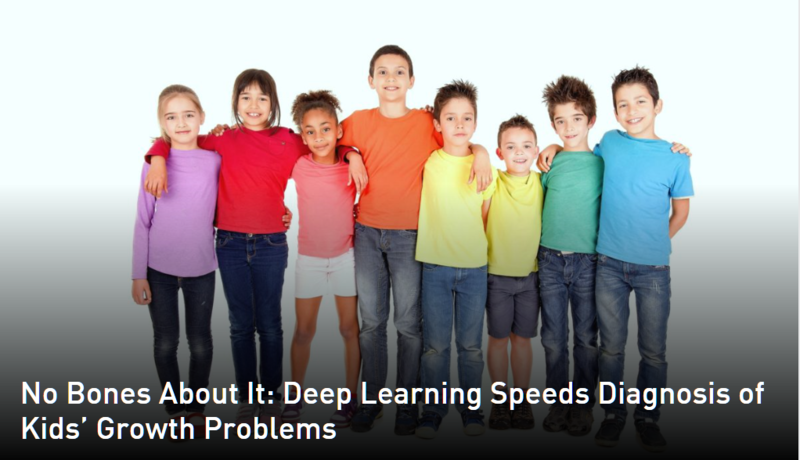 GPU-accelerated deep learning is poised to change that.